The following is an excerpt. The full story is available in the Kindle Store as well as Smashwords, Kobo, and iBooks. Half the proceeds from this piece are going to the NAACP. Please visit my GoFundMe page if you would like to contribute directly to the marketing budget for this project. Inside the barn, it was quiet. I breathed the smell of wet hay and barley. There was no rustling of birds in the rafters—Mark had shooed off the pigeons early fall. Up near the loft, a moth flew in and out of the slatted light. In my younger days I would have cupped it in my hands, carried it outside, but I stood and watched, knowing its wings would give out sooner than its will. A restless nicker broke the stillness. Derby and Baxter hoped I’d brought them a carrot. 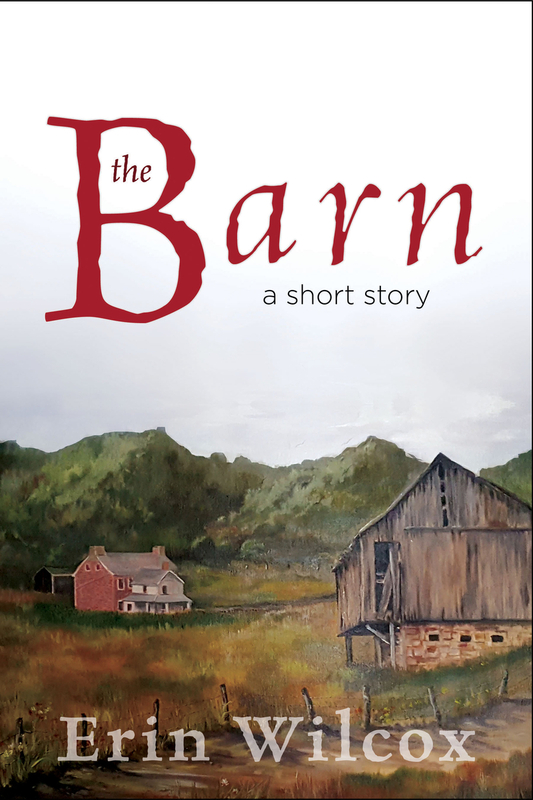 The barn creaked and groaned with the wind, and I heard Clara’s step outside. She pulled the double doors open. “Pa,” she said, “what are you doing in here all alone?” My eyes went squint, but I could make out her silhouette, skirt hanging like a bell just past her knees. I put my hands in my bib pockets. Behind my eyes I saw her brother, Mark, his skin cold and course, eyelids pressed shut like his body was in pain. Most times I tried to remember my boy alive, I saw this. Then Clara was beside me, her arm around my middle. She guided me out. I breathed in the scent of her strawberry curls. Outside it smelled like a storm. The sky was gray off south beyond the pasture, and thunderheads blocked out the hills. The fence posts lining the road tilted every which way, in need of fresh paint. Grass grew thick and patchy in the field. Every few feet a mound of dirt burped up where the gophers tunneled through. Clara had been on me to hire a man since my wife, Margaret, passed away, but her mother and I always kept up the farm our own selves. Margaret didn’t take kindly to outsiders. Clara closed up the barn behind us. I felt the steady wind down my collar, flapping my work shirt and biting at my skin. Her nostrils flared. Margaret used to give me that look when she was nervous. Clara kissed me on the cheek and started up the path. The girl was smug as ever, standing alongside her lawyer on the front porch, hand on her hip like waiting three minutes might kill her. She wore a yellow blouse covered in sunflowers. Her breasts had grown even larger since the funeral, same as what happened to Margaret when she was pregnant with Mark and with Clara, only Margaret’s were small to begin with, so they never got to be grotesque. “You dress colorfully for a widow,” I said, taking a seat in the reading chair. “It’s been three months.” She flushed underneath her brown cheeks. I leaned back in my chair. Clara clattered around in the kitchen. The rain started, like a herd of cattle stomping across the roof. Clara came in carrying Margaret’s favorite tea service. I don’t drink tea, but I bought that set for Margaret because she liked the oriental style, puny cups without handles that burnt your fingers. I always thought the set would be better locked away in our hutch with the china plates. When I told Margaret so, she slapped me on the knee and called me a sorry old coot. “Pa, where are your manners?” Clara said, setting the tray on the coffee table. “Please, Kanita, sit down.” Clara cupped the girl’s elbow and led her toward the couch. The long-haired lawyer, dressed for business though he evidently had a distaste for the barbershop, sat down and got straight to it while Clara poured tea. She stared at me with her big brown eyes. She had an earring in one nose. Her hair was kinked tight against her scalp. Clara’s arm jerked. The spout clinked against the lawyer’s cup. My heart pumped fast and my breath came up short, but I’d said my piece. I got up and headed for the door without my coat.